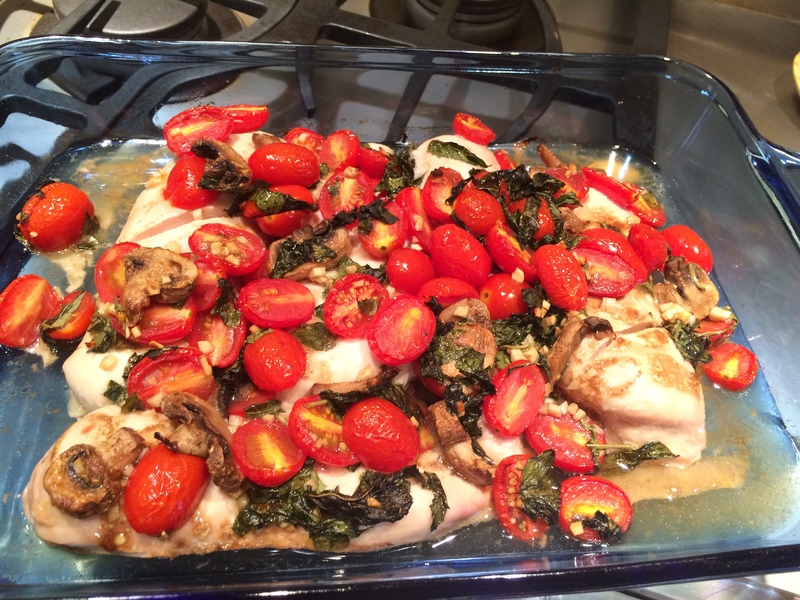 Baked Balsamic Chicken | what are we having for dinner? I wanted an easy peasy chicken dinner to throw together, since I didn’t have a lot of time on my hands. 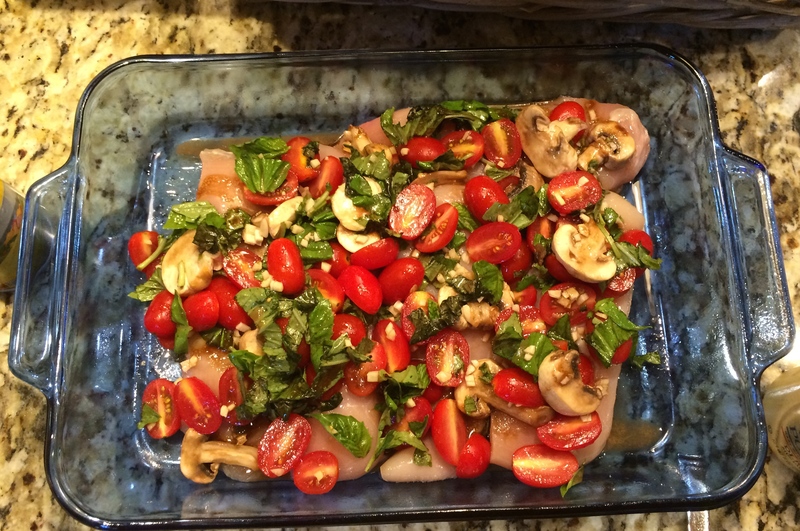 And I adore the combination of basil, tomatoes and balsamic vinaigrette! Hope you enjoy it as much as I did! 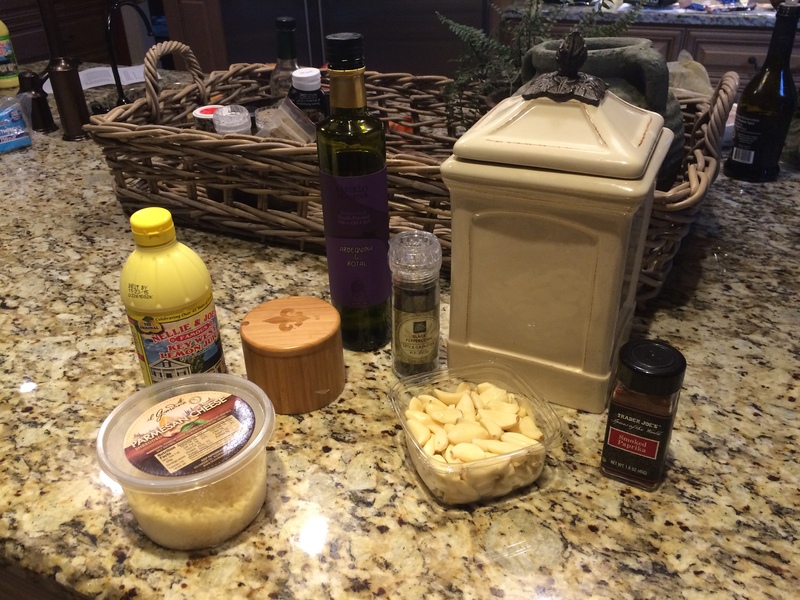 I came up with this recipe using what I happened to have on hand one night. 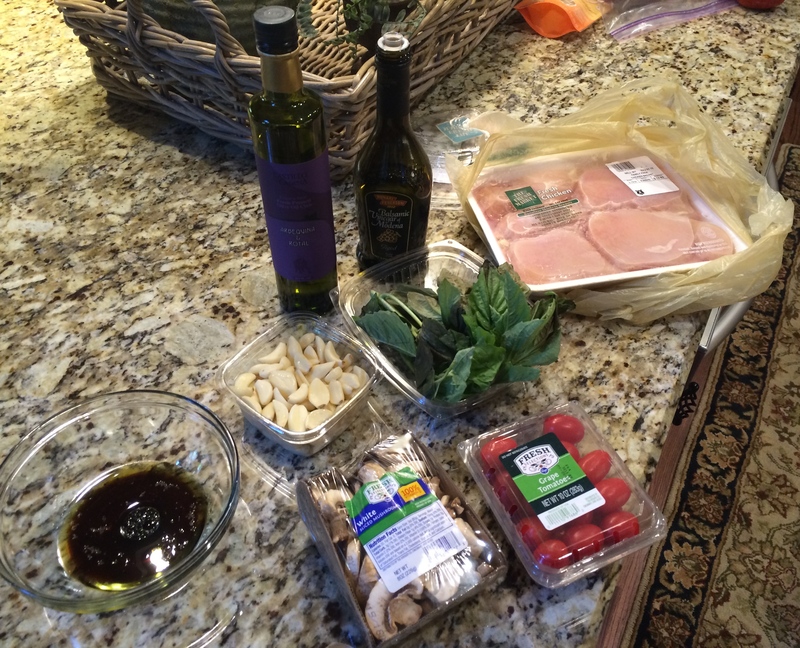 I ALWAYS have caprese salad ingredients it seems, and I had a package of chicken and didn’t have a plan. Idea! Combine the two! 1 package grape tomatoes, halved Preheat oven to 350 degrees F. Spray PAM over a glass baking dish. 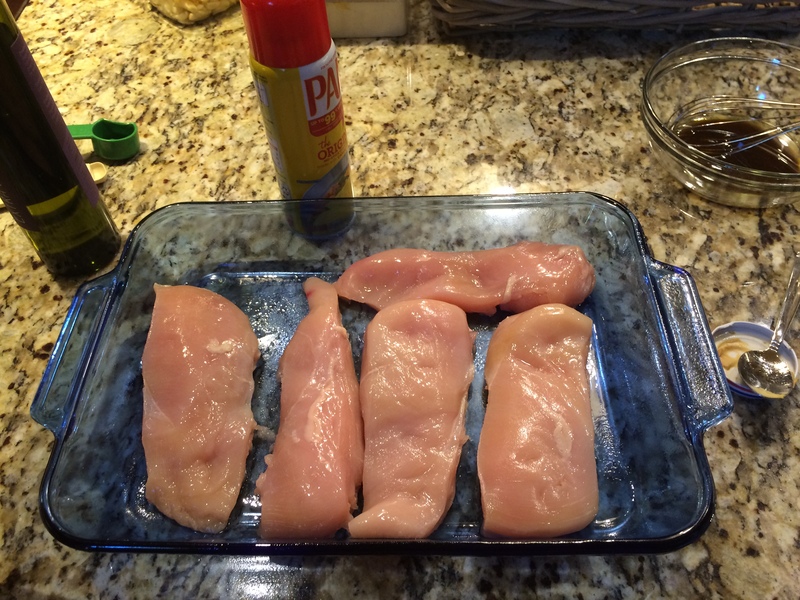 Place chicken breasts in dish and sprinkle with salt and pepper on both sides. 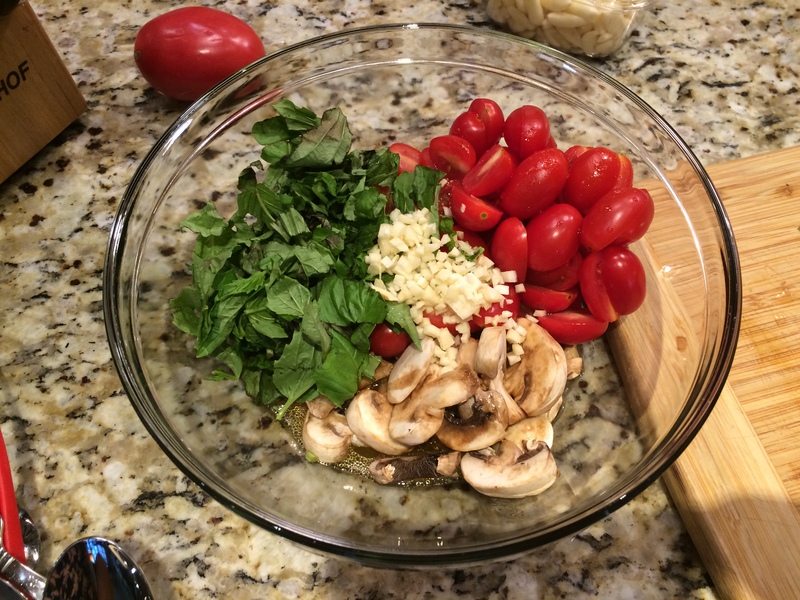 In a bowl, combine garlic, basil, olive oil, Balsamic dressing, mushrooms and cherry tomatoes. Bake 40 minutes or until the chicken is cooked and no longer pink. 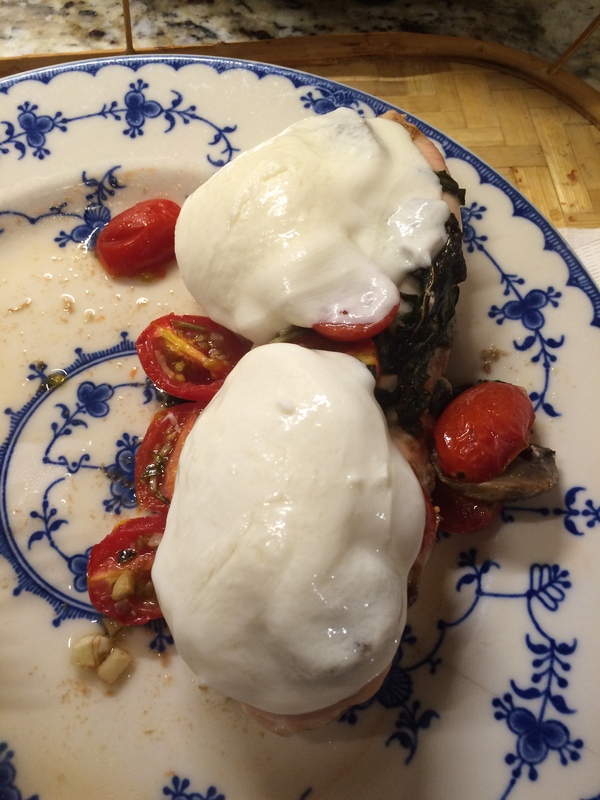 Alternately you could top the chicken at then end of the cooking time with shredded mozzarella or cut up fresh mozzarella and bake or broil until melted – then you’d have a caprese chicken bake. THAT would be yummy too! 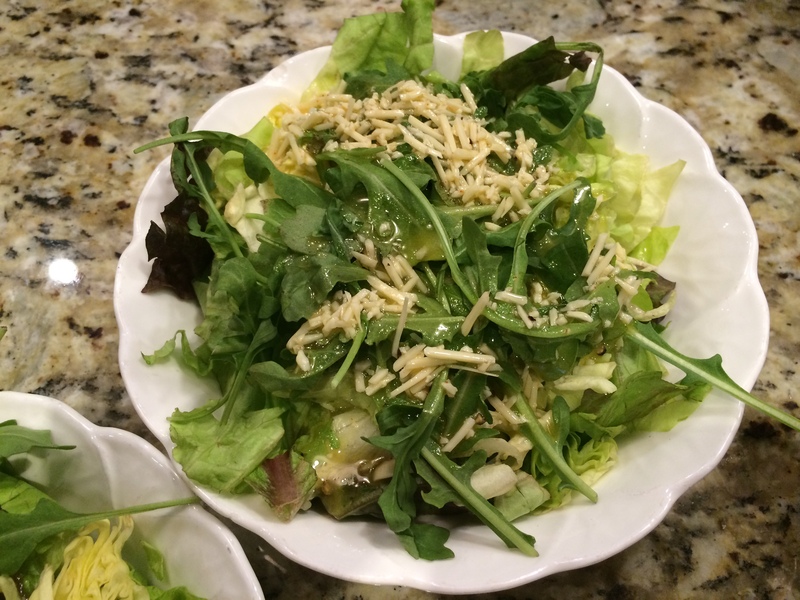 Serve with a tossed salad of mixed greens and any veggies you have on hand. 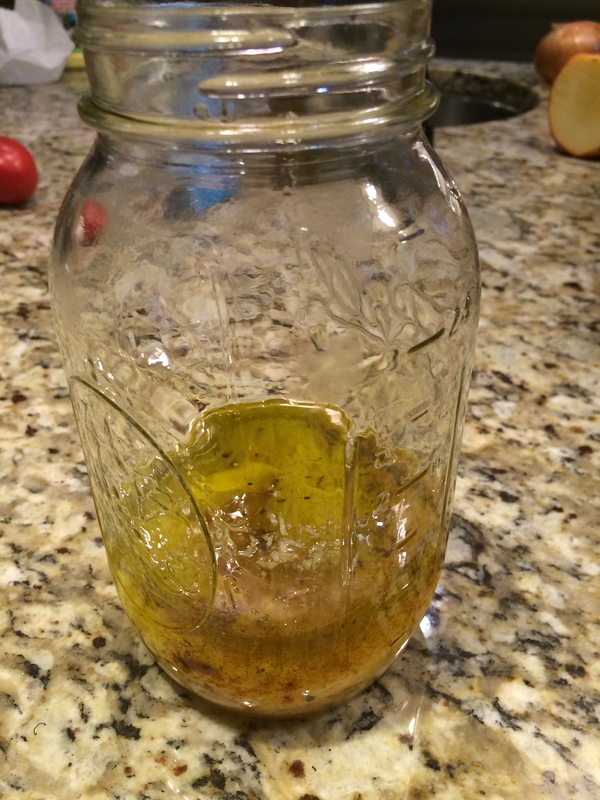 1 garlic clove, peeled and left whole Place the olive oil, Parmesan, salt, pepper to taste, sugar, paprika, lemon juice and garlic into a jar. 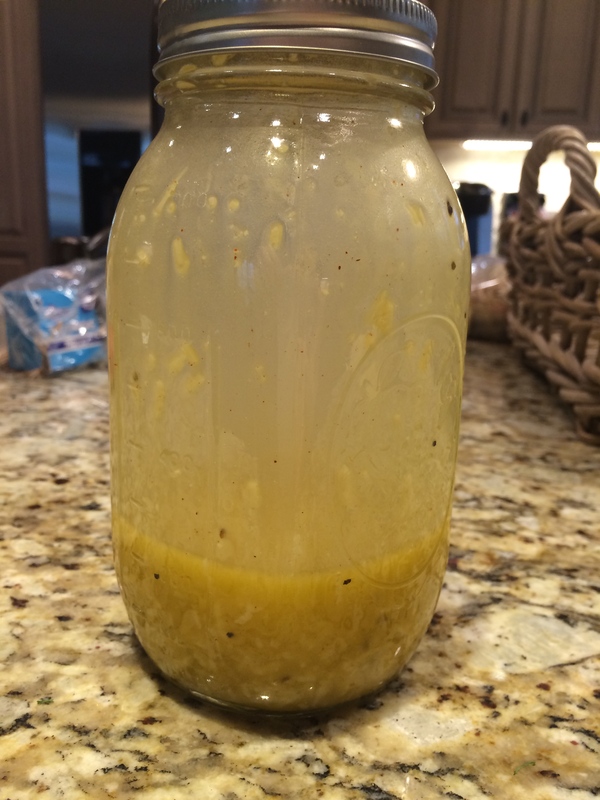 Shake it up and store in the fridge, ideally 24 hours before serving. 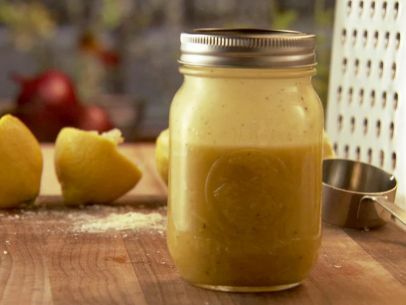 There you have it – a perfect quick meal that’s ideal for warm weather! Salud!! !